A new graphene-based brain implant could help provide information about the onset and progression of epileptic seizures and pave the way for next generation brain-computer interfaces. 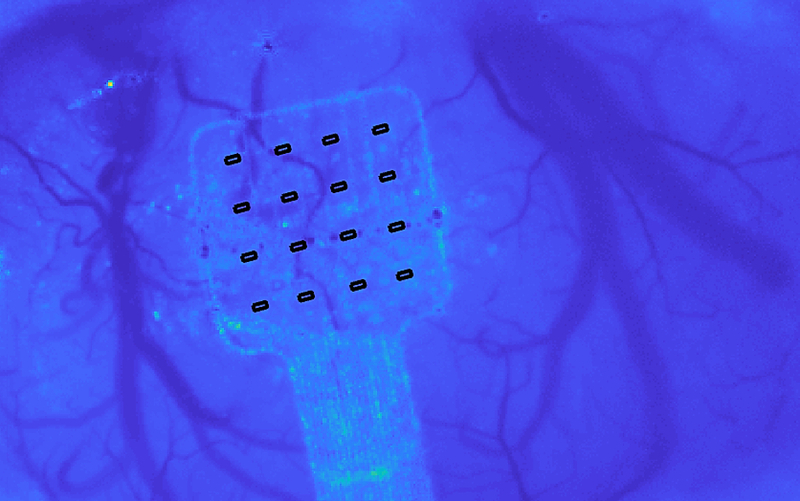 The new implant, which records electrical activity in the brain over large areas and at frequencies below 0.1Hz, is said to overcome the limitations of electrode arrays that have only been able to detect activity over a certain frequency threshold. The technology was developed by Graphene Flagship partners at the Barcelona Microelectronics Institute (IMB-CNM, CSIC), the Catalan Institute of Nanoscience and Nanotechnology (ICN2), and ICFO. The prototype was adapted for brain recordings in a collaboration with the Biomedical Research Institute ‘August Pi i Sunyer’ (IDIBAPS). The study is published in Nature Materials. The new brain implant uses a transistor-based architecture that amplifies the brain’s signals in situ before transmitting them to a receiver. According to the Graphene Flagship, the use of graphene to build this new architecture means the resulting implant can support many more recording sites than a standard electrode array. It is reportedly slim and flexible enough to be used over large areas of the cortex without being rejected or interfering with normal brain function. This results in a unique mapping of the low-frequency brain activity known to carry crucial information about different events, such as the onset and progression of strokes. Future applications are predicted to give greater insights into where and how seizures begin and end, enabling new approaches to the diagnosis and treatment of epilepsy. Taking advantage of ‘multiplexing’, this graphene-enabled technology has been adapted to restore speech and communication as part of the European BrainCom project. Led by ICN2, this project is expected to deliver a new generation of brain-computer interfaces able to explore and repair high-level cognitive functions, with a focus on speech impairment caused by brain or spinal cord injuries.